If you’ve been on your fitness journey long enough you’ve probably read a lot about how important it is to maintain your blood sugar level. Blood sugar is glucose that our body gets from carbohydrates and utilizes as energy. Blood sugar level goes up when we eat and goes down when we haven’t eaten for a while. Too high or too low can really affect our body and lead to problems like diabetes (insulin resistance) or hypoglicemia (low blood sugar) respectively as well as make us feel energetic or tired and hungry, and, of course, affect weight loss. There are foods that cause blood sugar spikes like refined carbs (white rice and bread, sweets, soda). These are bad for your diet because after the spike goes down, the blood sugar drops below normal making you feel hungry, sluggish. There are foods that elevate blood sugar slightly (sweet fruit) and those that don’t cause any spikes like complex carbs (vegetables, whole grains). Then there are foods that bring your blood sugar to normal levels thus stabilizing it making it easier for your body to use it for energy. Cinnamon is a spice but it can really work with many dishes including desserts. Research has shown that cinnamon doesn’t only help body use glucose more effeciently but also reduce LDL cholesterol. 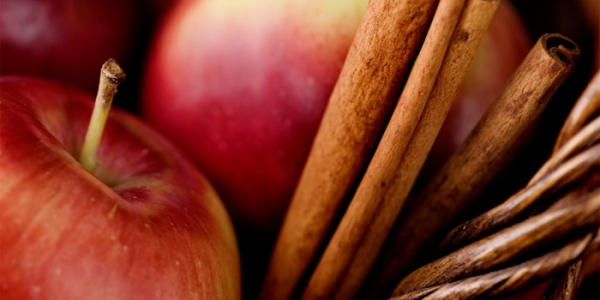 Sprinkle cinnamon powder over apple slices or Greek yogurt for a healthy snack or brew a cinnamon stick with your tea. Speaking of apples, if you have a case of sweet tooth these guys can help you prevent diabetes while soothing your cravings for sweets and stabilizing blood sugar. How cool is that? Apples and grapes alike are high fiber foods, containing insoluble fiber these fruits help lower the blood sugar. Full of heart-healthy oils and high in protein nuts help control blood sugar and are great as snack. Almonds can help lower blood sugar spike after eating. You can also eat them on their own or better yet sprinkle them over your whole oatmeal or Greek yogurt. There are many great ways that can help you control blood sugar levels naturally and prevent diabetes, including strength training, walking, and healthy stimulant-free diet. This entry was posted in Nutrition and tagged clean eating, fruit, nuts. Bookmark the permalink.